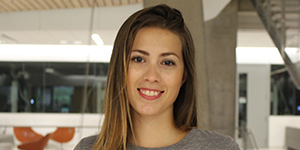 Anabel is pursuing a Master of Science in Civil and Environmental Engineering focusing on Structural Engineering. Born and raised in Havana, Cuba, she received her bachelor's in Civil Engineering from the University of Technology of Havana (CUJAE) in 2015. During her undergraduate years, she researched prestressed concrete structures. She is also interested in the performance of structures under seismic and extreme wind loads. During her free time, Anabel enjoys practicing sports, dancing and exploring D.C.
Armaan is currently pursuing a Master of Science in Electrical Engineering with a focus in Communication and Networks. Born and raised in Mumbai, India, he received a Bachelors in Electronics and Telecommunications Engineering from Thadomal Shahani Engineering College in 2017. During his bachelor’s degree, he worked on projects in the areas of Home Automation and Theft Detection System. He has also done social work with PETA. During his free time, Armaan enjoys playing squash, trying new foods and watching all the possible new TV shows. 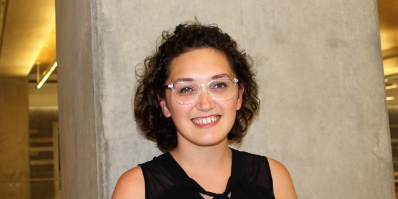 Jenna is pursuing a PhD in Mechanical and Aerospace Engineering with an area of focus on Fluid Mechanics. Originally from North Carolina, she earned her Bachelor’s in Physics from Appalachian State University and went on to earn a masters in biomedical engineering from Duke University. Her research at GW focuses on using microbubbles for tissue engineering applications. In her free time, Jenna enjoys kickboxing, biking, and doing puzzles! 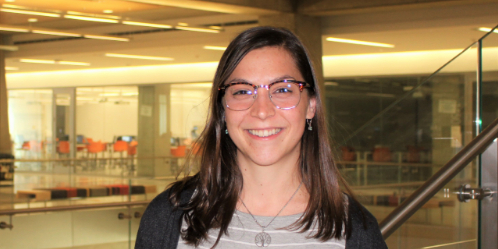 Lydia is a first-year Ph.D. student in the Systems Engineering department, with a strong interest in natural language processing. She previously graduated from GW with her BS in Mechanical Engineering and an MS concentrating in Industrial Engineering. During her undergraduate years, she was an active member (and eventual president) of the GW chapter of Theta Tau, the co-ed professional engineering fraternity. She has also performed in several theatrical productions with the GW Shakespeare Company. In her free time, she enjoys binge-playing Stardew Valley and walking along the Wharf in SW DC. Rem Tolentino is from Atlanta, Georgia and is pursuing a Master of Engineering in Regulatory Biomedical Engineering. He received his Bachelor of Science degree in Biomedical Engineering from the Georgia Institute of Technology. Rem is passionate about designing clinical trials to determine the safety and efficacy of medical devices to provide data for 510(k) and Premarket submissions to the US Food and Drug Administration. He has worked for both large medical device companies and small biotech startups. Additionally, he is a researcher in Dr. Chung Hyuk Park's Assistive Robotics lab and is working on soft robotic technology based on animals. In his free time, he enjoys playing pickup basketball at the Lerner Health and Wellness Center, going on weekend hiking trips, and finding the best places for brunch in DC. Rose grew up in Essex Junction, Vermont and received her BS in Biomedical Engineering with a second major in Chinese Language and Culture and a minor in Mechanical Engineering at Washington University in St. Louis. She is now at GW pursuing her PhD in Biomedical Engineering with a research focus on cardiac electrophysiology. Rose enjoys research because of the immense creativity and dynamic environment required for successful science. In her free time, Rose enjoys a good game of Bananagrams. She can always be cheered up by a soothing bowl of noodle soup, and her favorite flavor of Ben & Jerry's is Strawberry Cheesecake. 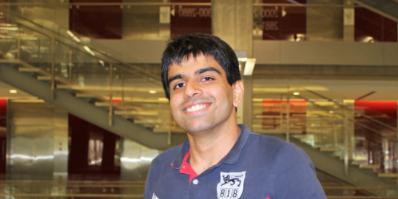 Tamer is pursuing a MS in Electrical Engineering, focusing on Signal and Image processing. From Syria, he received his Bachelor’s degree in Electrical and Electronic Engineering from Bahcesehir University Turkey. Tamer enjoys traveling and meeting new people and can speak four languages! In his free time, he likes to get out and enjoy D.C. and watch sports. Zhiqian is a second-year M.S. student studying computer science at SEAS. Originally from China, he earned a double bachelor's degree in finance and mathematics from Indiana University. He developed an interest in computer science when he used code to analyze stock return data. His area of focus is Artificial Intelligence in the business world, particularly as it applies to the finance industry. 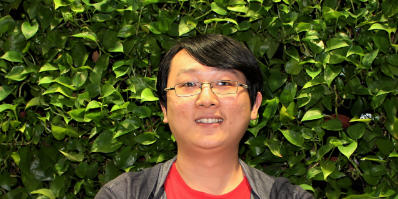 During his first summer vacation at GWU, he interned as a software developer at DC, developing an application of blockchain for supply chain industry. In his free time, he likes to program projects and enjoys classical music.